When only the best, most attractive and durable ventilations and natural light panel will do, then Nova-Lite is your number one choice! 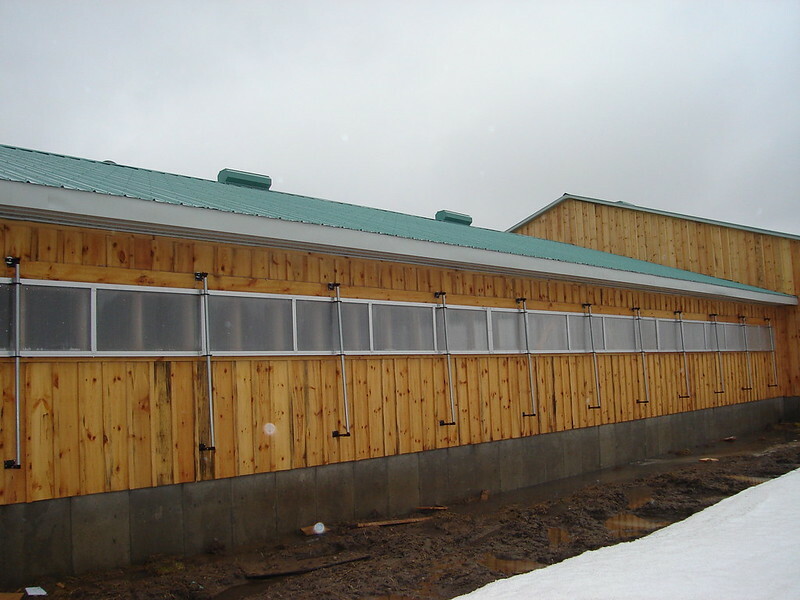 Nova-Lite’s perimeter is a welded frame that is 2″ wide by 1-1/4″ aluminum extrusion specifically designed for Wilson Agri with the vertical members at approximately 3′ on centre. Into this outer frame are several choices of glass. 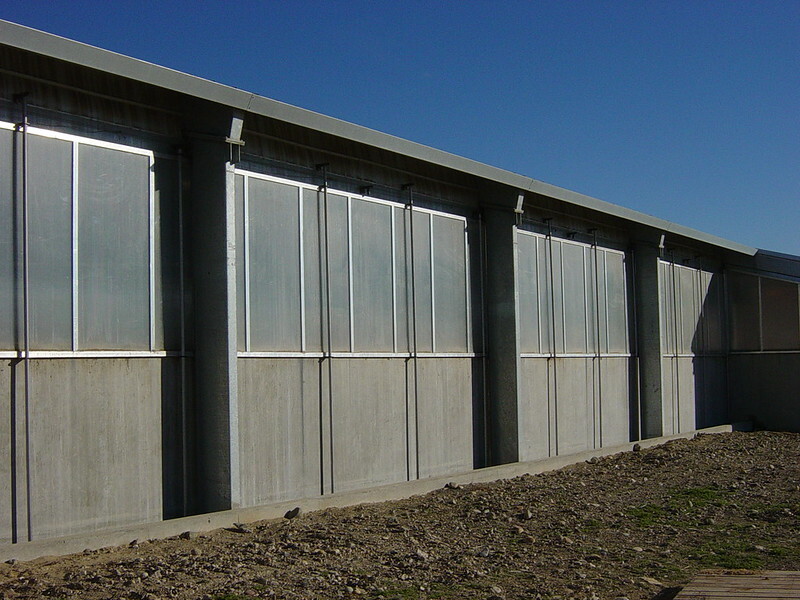 Double walled polycarbonate glass has 99% light penetration and is very robust and has an insulating R rating of 1.5. 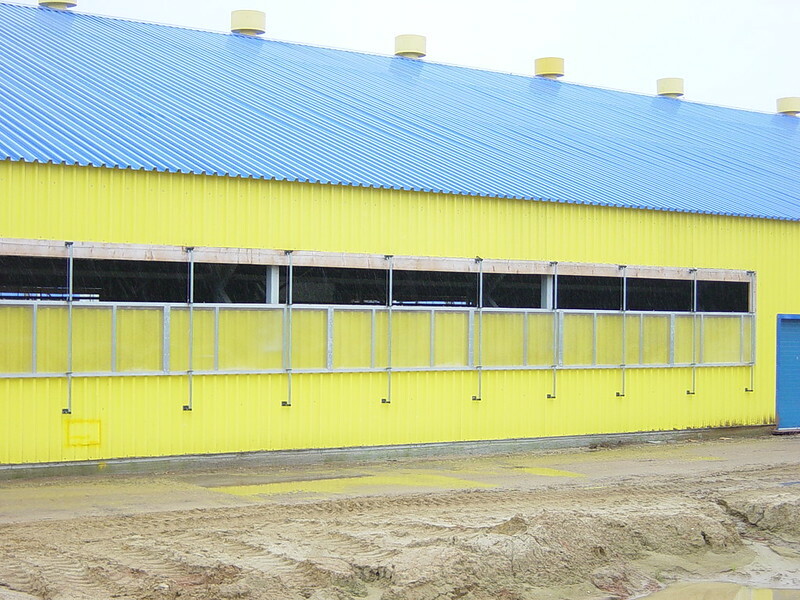 This insulation rating means it has less condensation, less discolouration, more rugged and it is easier to clean. When viewing through polycarbonate glass a person will be able to see images but not as clearly as one would see through Clear-All glass. Clear-All uses the same aluminum frame but uses a crystal clear acrylic glass available in several choices of thicknesses. 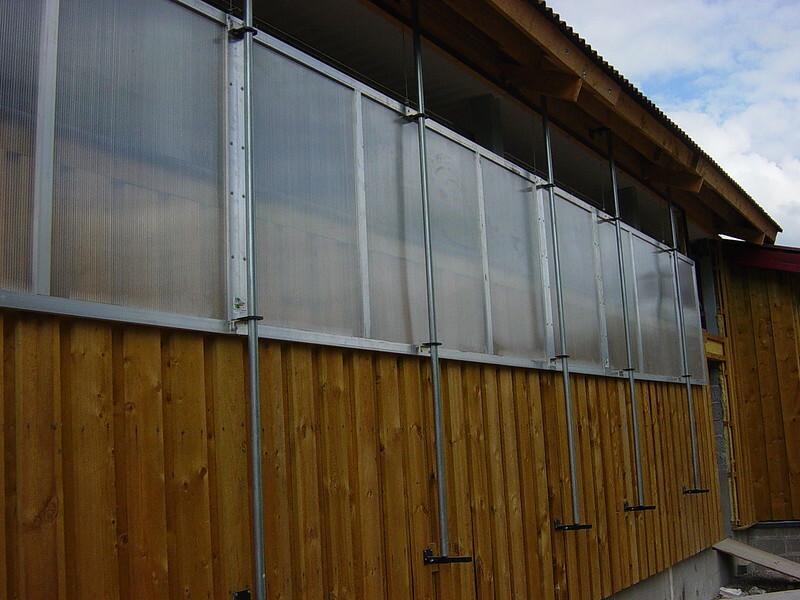 Clear-All will take some abuse but is not as durable as polycarbonate glass, but is more durable than normal glass. When viewing through Clear-All images will appear clearly. It does not have an insulation factor. 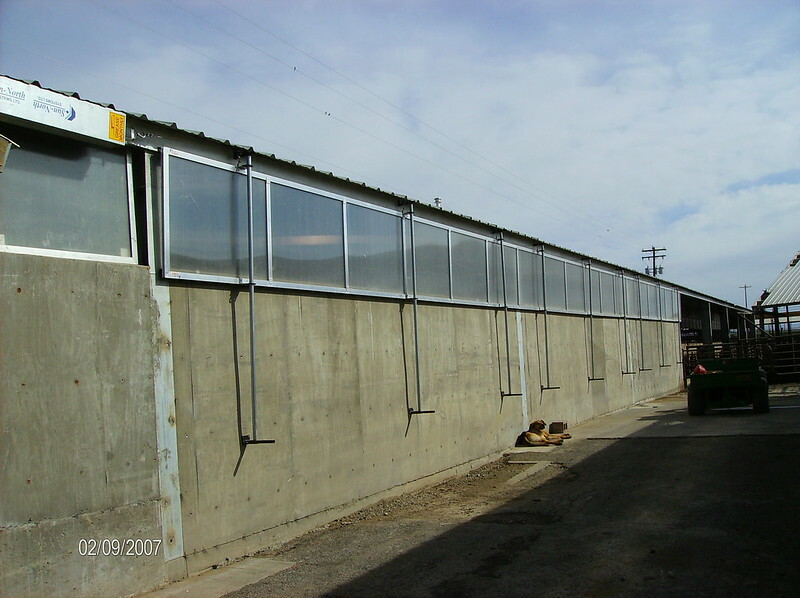 Can be used on all types of dairy barn sidewall openings. Glass options are available: clear, glazed, tinted. Hot dipped galvanized top and bottom brackets. Very popular for parlour sidewall openings. 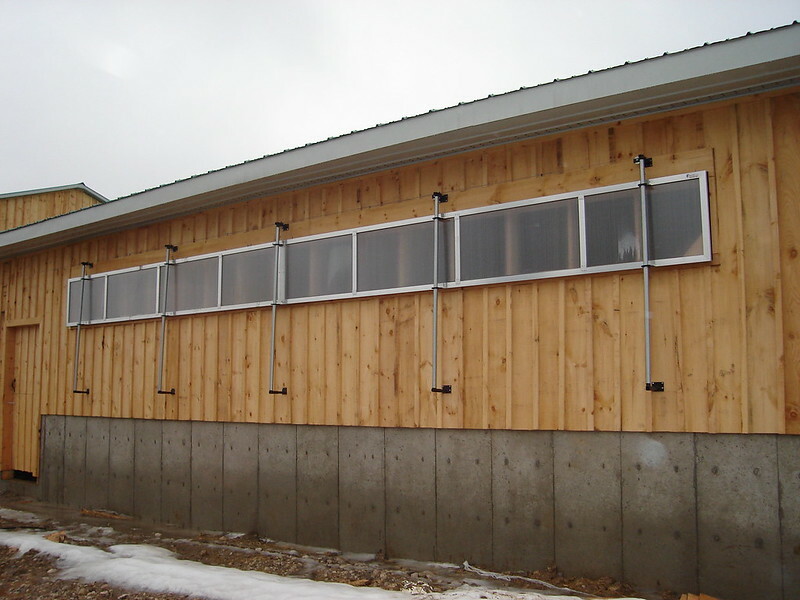 Heights up to 6′ and lengths up to 80′. Two piece gasket track seal. Vertical supports approx. 3′ on centre. Slack cable detector prevents winter freeze up.